What better way to express the way you are feeling than by listening to decent music? No revolution succeeds without being fuelled by the beat of the drum. In the first of the new End Of Terror Vibe series of blog posts, Shpongle bring you here a great performance of this perfect ‘When Shall I Be Free?’ hit filmed in a live performance at one of their seminal London Roundhouse shows. Shpongle are a modern electronic band, out there on a limb, fusing ethnic sounds from across the world with a live-enabled cutting edge electronic base. They are independent thinkers in a music world that is today so devoid of creativity. 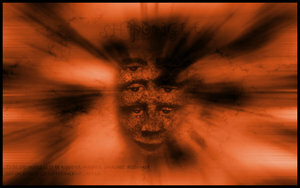 This entry was posted in End Of Terror Vibe, Music, Videos and tagged end of terror vibe, freedom, music, shpongle, vibe, video on 4th October 2011 by Wez G.